I first became familiar with Boris Pasternak when I was an undergrad in college. Walking through the library late one night, I was startled by a book falling off a shelf. When I went to see what it was, it was a book of his poetry. 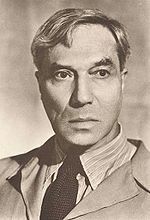 Pasternak won the Nobel Prize for Literature in 1958 and revolutionized Russian poetry. He once said that poets and artists traditionally have no assured place in society and can only live their lives outside it. I hear that voice in his poetry, the voice of a person who watches the world but lives outside the places and people he observes. anyway, it was all a forgery. This reminds me of a similar line in T.S. Eliot’s poem, The Love Song of J. Alfred Prufrock. The narrator in each poem is questioning what life means. At the root of the voice is loneliness. These are words spoken by people who are alone, who want to go back in time to live their lives differently. In another poem by Pasternak “A Sultry Night,” the world is also diminished. It was once a whirlwind, something full of power and force but it has become an orphaned and sleepless waste. the whirlwind dug in, abated. 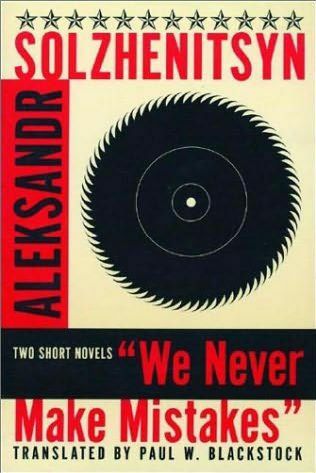 Most the poems in this essay are taken from My Sister Life, a book published in 1922 and written by Pasternak during the summer of 1917, in the months before the Russian Revolution. These poems put Pasternak on the map as a poet. At the time he was living in Saratov, a port city in Southern Russia. He was too embarrassed to publish the poems at first because they are written in a nontraditional style. Socialist realism under Stalin called for more traditional forms. All Russians had to choose between emigrating and living with the new Bolshevik order after the revolution. 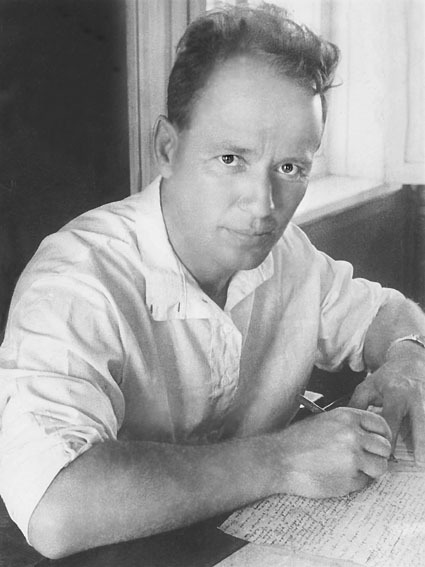 Pasternak stayed in Russia living in a communal flat in Moscow. Poets Anna Akhmatova (1889-1966) and Osip Mandelstam (1891-1938) also remained. 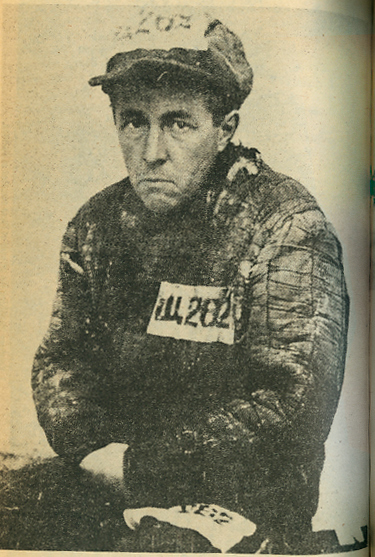 Most of Pasternak’s family left Russia for Germany, never to return. When he won the Nobel Prize in 1958, he was not able to accept the award. He wrote in a telegram to the Swedish embassy, “Considering the meaning this award has been given in the society to which I belong, I must refuse it. Please do not take offense at my voluntary rejection.” After struggling to remain in Russia most his life, he did not want to be stripped of his citizenship by leaving the country. Born in Moscow, Pasternak was the son of painter Leonid Pasternak, a professor at the Moscow School of Painting, and Rosa Kaufman, a pianist. Pasternak’s early years were spent surrounded by art, music and literature. Visitors to his home included composers Sergei Rachmaninoff and Alexander Scriabin and writers Leo Tolstoy and Rainer Maria Rilke. Boris Pasternak enrolled in the Moscow Conservatory in 1903 and studied composition. 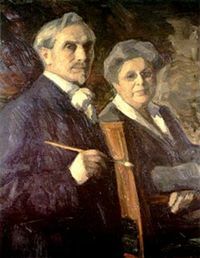 He dedicated six years of his life to this and left the school in 1909 to study philosophy, then later turned to poetry. Three finished piano pieces survive to this day. The poems inMy Sister Life are structured around arrivals and departures, train rides to and from the city and around several relationships the poet had. flooded with dusk, ashes and poppies. setting your hats and dress on fire. This poem is full of light. The luggage is sun-bleached, the clothes and the field are on fire. This is a poem full of passion written by a poet who is in love. He is trying to show us the woman he fell in love with, her face turned toward the fields. She is a gate into a beautiful world where everything seems alive. Even the shadows want to touch her hand, take her pulse, feel her living and breathing within. The world in this poem is hinged on her beauty. Poppies are the dominant image. They are bright flowers with delicate skin-like petals. The pods next to them are bursting. These are two strong images of female and male sexual desire. I’ve heard it said if you want to know what’s really on a person’s mind, read the postscript. It translates the letter into a new light. In a p.s., we write those last few things we must say. This postscript is plowed through a layer of images. In the structure of the sentences, we hear a speaker trying to get something off his mind and sum it all up: It was this, it was that, it was the way she made me feel, it was how she looked. He paints a picture of her spirit swimming in light. Even her many hats say something about her vibrant character. hovers like a motionless harbor. Even the windmills in this fishing village are still. The buildings are cracked and weathered, the horizon is tainted by tobacco stains and the water is stagnant. We don’t want to eat these fish. In Postscript the images surrounding the poet are ripe in his hands, and he wants to show each one of them to us. But no light is in this poem. Time stands still because the machine behind the poet’s vision has slipped into indifference, into a separate place where it is hard to believe anything outside this world is moving. This is the gray backdrop for an urban working class, and it is weary with grief, uneasiness and apathy. In the calm before the storm, we see the speaker smoking cigarettes, looking out on the water. The “hours skip past like stones, ricochet across the shallow, not drowning, keeping afloat.” Rocks don’t float, but the image gives us a sense of what it feels like when everything around us remains the same and nothing is changing. Through lace curtains— ravens— frozen in terror of frost. It’s the October whirling, it’s terror clawing, crawling, up the steps. Begging, sighing, or groaning, they all rise in unison for October. The wind grabbed the hands of the trees— they raced downstairs to get wood. Snow falls from their knees as they enter the store—It’s been so long since we’ve met! Did the snow, so often trampled, scatter from hooves like cocaine? What impressed me most when I watched the movie Dr. Zhivago was all the snow. People trudge through snow from one scene to the next and tried to stay warm. Having lived in the mountains for years, I know what it’s like to live many months in snow. You grow weary of the color white. Staring into that empty color is like staring into your own soul. In this poem we have white snow contrasted with a black raven. Ravens or large crows are also common in the mountains where I lived. Seeing one perched on top of a tree cawing out to others in the distance is ominous. These scavengers have a panoramic view of the world on their high perch and seem to speak not only to each other but to us. 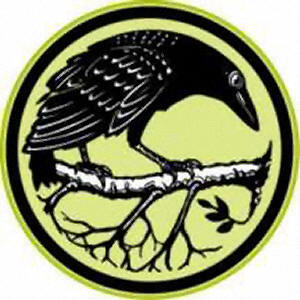 The raven is also a symbol of mysticism. In Benedictine monasticism, Saint Benedict is often pictured feeding a piece of bread to a raven in the desert. In Native American cultures, the raven is thought of as a kind of supernatural guide that gives voice to our inner life. The mystical image of the raven in this poem is contrasted with people wiping snow from their pants, breathing in and out the cold air and carrying wood, involved with the mundane tasks of life. They are on earth, in a physical place where people get cold and need to stay warm. It is another image of the poet and the mystic coming up against the cold realities of life. One evening when I was sitting on the mountain alone I heard what sounded like many hinges bending over my head. I looked up and saw several hundred ravens passing above me. They flew to some mysterious place in the west where the sun was setting in the mountains. Everything else on the mountain seems very quiet when you are listening to several hundred wings pass overhead, as if their wings were on hinges of many heavy doors. I felt I had a window into a world no human had ever seen. Ravens are often the shape of loneliness in poems or paintings. In my mind that night, they become something human in their need to fly together, not self-effacing mockers who sit alone in trees. as I recall—kept on saying goodbye. One of the most haunting scenes in Dr. Zhivago is near the end of the movie where Yuri sees Lara for the last time. He is on a bus and sees her walk by. They are old now, time and circumstance have separated them, and he had lost all hope of ever seeing her again. When he sees her pass, he stops the bus and tries to run to her but dies of a heart attack on the sidewalk just out of her reach. She walks away and never sees him. The poems in this essay are written by a man who is full of both doubt and hope. Some poems are theaters of loneliness and silence and others are full of great applause. But whichever voice we hear, it opens on the page in an illusory, trancelike way to reveal an emotional state of the poet. 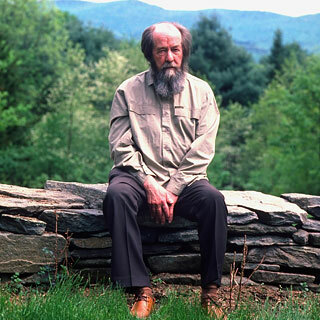 Pasternak lived in a time when the landscape of the country he loved was changed by hardship. Each of these poem seems to be about surviving something, whether that be war or anguish or love. Here are the opening paragraphs of Bunin’s novel The Life of Arseniev: Youth: Such things and deeds as are not written down are covered in darkness and given over to the sepulcher of oblivion, while those that are written down are like unto animate ones . . . I was born a half-century ago in Central Russia, in the country, on my father’s estate. We lack a sense of our beginning and end. And it is a great pity that I was told exactly when I was born. Had I not been told, I would have no idea of my age—the more so as I do not as yet at all feel its burden—and would therefore be spared the absurd thought that I must supposedly die in ten or in twenty years’ time. And had I been born and lived on a desert island, I would not have suspected even the existence of death. “What luck that would have been!” I am tempted to add. Yet who knows? Perhaps, a great misfortune. Besides, is it really true that I would not have suspected it? Are we not born with the sense of death? And if not, if I had not suspected it, would I be so fond of life as I am, and as I used to be? Is it accidental that service is mentioned here? Is it not a joy to feel one’s connection, one’s communion, with “our fathers and brethren, friends and kinsmen” who have sometime done that service? Our remotest ancestors, too, believed in the doctrine of the “pure, continual Path of the father of all that is,” handed on from mortal parents to mortal offspring through immortal “continual” life, they believed that it was commanded by the will of Agni to watch over the purity, the continuity of blood and stock, in order to prevent the desecration of that Path, lest it should be interrupted; they believed that every birth must further purify the blood of those born, and enhance the closeness of their kinship with Him Who is the sole father of all that is. Among my ancestors there were probably many bad men too. And yet from generation to generation my ancestors enjoined one another to remember and watch over their blood. And how shall I express the emotions with which I sometimes look at our family crest? A knight’s armor, coat of mail, and helmet with ostrich feathers; and beneath, a shield; and on its azure field, in the middle—a ring, emblem of loyalty and eternity, toward which, from above and below, point three rapiers with cross-shaped hilts. And in July there was thundering, mumbling from every direction? And not lightness—that, I’m afraid, was deception. And an archive of leaf-fall covered the pavements’ gray. What will come to your mind in the hills and the hollows of hell. With an unforgettable shivering, the fine sand heaping below. The simplest device, but such an opening for grief. With the odor of ozone under the municipal office tin roof. Can fill with such love, the straggler, the spent force that is you. Is there anything to raise a smile or a glass to here? Not even the comical long johns, in mourning and flapping half-mast. And another wage packet spent like the last one on booze. To sound through the autumn wastes, the truths for which speech had no words. Speak. Such misfortune leaves us little else.